Happy Saturday! Since my blog was down on a Sunday morning, I thought I would use my time and make today’s recipe. This was a good call on my part! 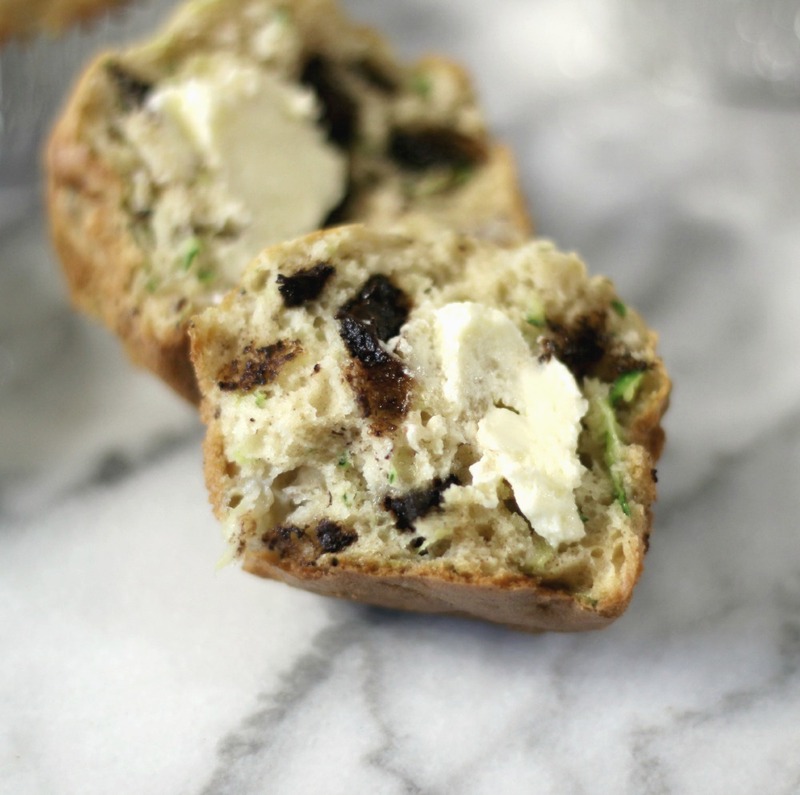 So today I am bringing you my Banana Zucchini Chocolate Chip Muffins. 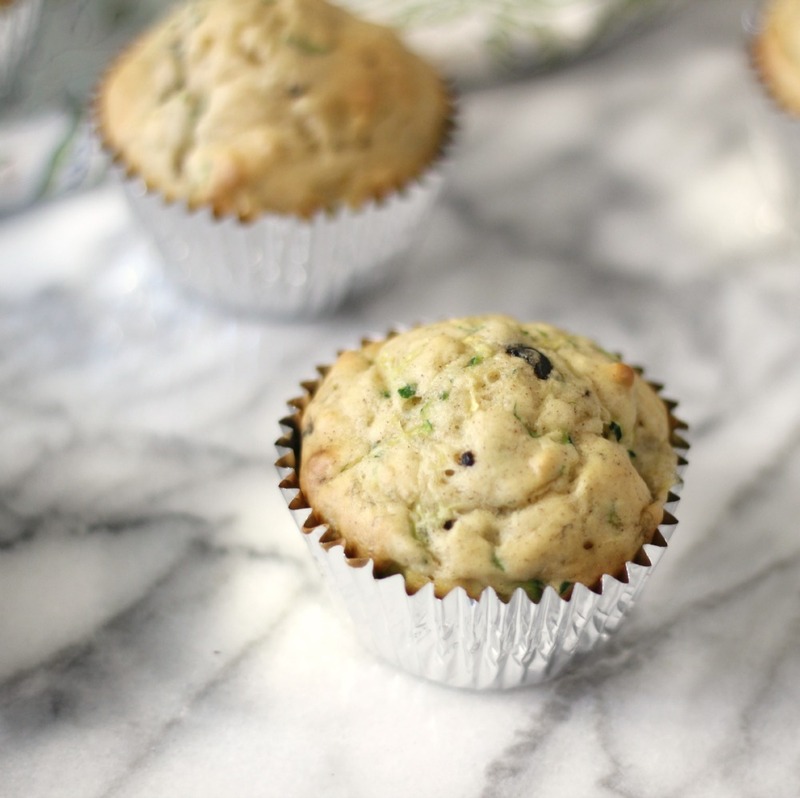 These muffins are moist, light, fluffy and taste so good considering I didn’t use a lot of sugar in them. Ohh, and they are amazing warmed, fresh out of the oven. 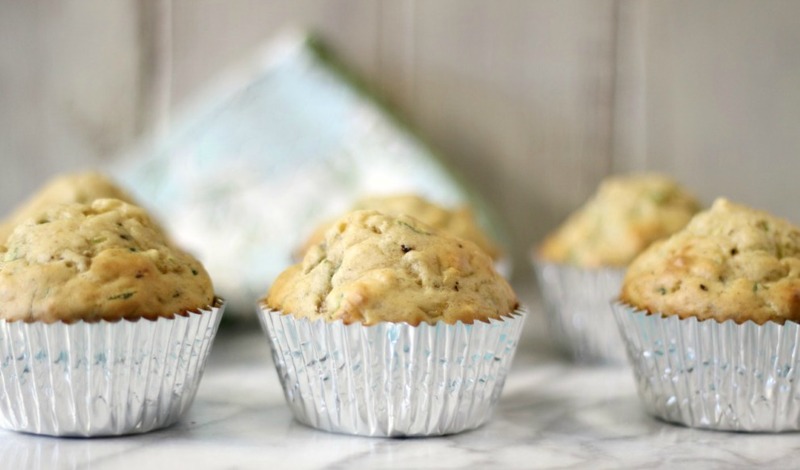 They are chock full of chocolate chips, zucchini and of course a little banana. Get this, I didn’t add any fat to the recipe. I used greek yogurt and milk to make them moist and delicious. Since I didn’t add any fat, I highly recommend spraying your muffin tin and liners with cooking spray. They tend to stick to the wrappers. I didn’t have to much of an issue using tin foil muffin liners. But trust me, you don’t even notice there is not fat in them. 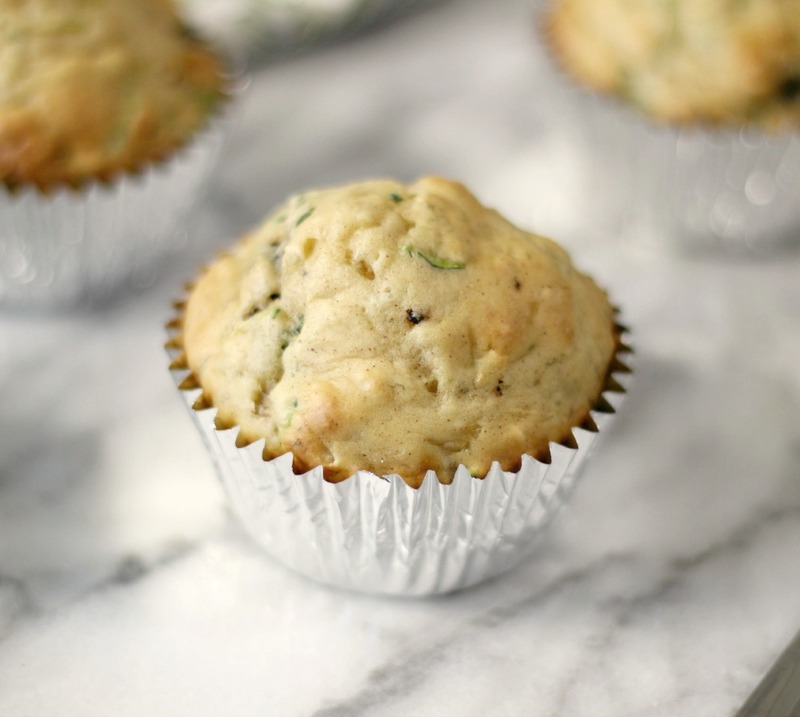 My Husband loved them and he is the first to say, these are dry and with these muffins and said they were really good! I think they taste best with just a little dollop of butter in them. Oh how I love butter on muffins. Yummy! The muffins come in at 150 calories, which I don’t think is bad considering they taste sweet from the banana and the little sugar I added and it beats the calories of the muffins you get at the store or coffee shop. I have to say nothing beats homemade muffins and the smell of it baking in the oven, oh yah baby!! 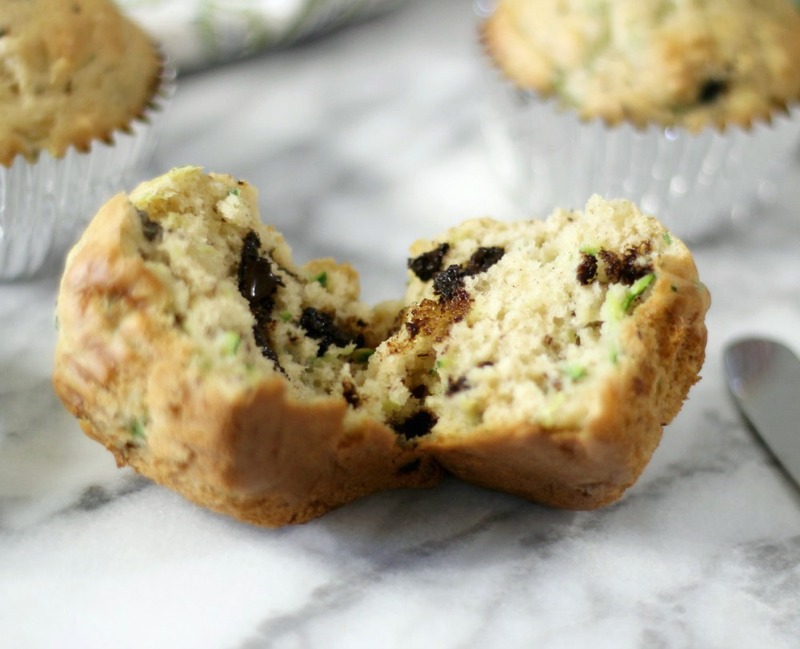 A light, moist, sweet, no fat added muffin, chock full of zucchini and chocolate chips. Line a muffin tin with liners and spray with cooking spray. I recommend using alumin foil liners or no liners at all. Just spray the tins. In a bowl, add banana, sugar and egg. mix until well combined. Add yogurt, zucchini, vanilla and cinnamon; mix until combined. Stir in the milk. Add the flour baking soda, baking powder and salt to batter; and just mix until combined. Do not over mix! 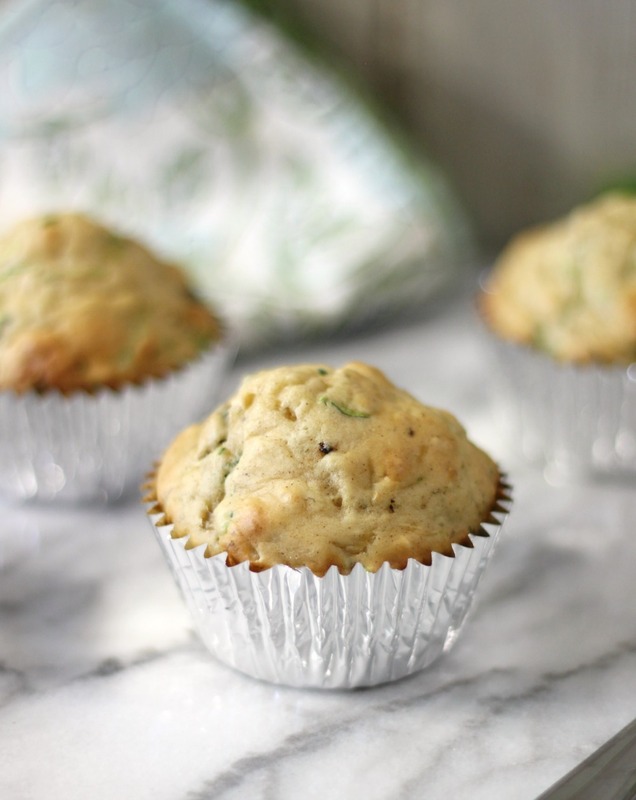 Evenly fill muffin tins with batter. Bake in oven for 15 minutes until toothpick inserted in the center of the muffins come out clean. Let muffins cool for 10 minutes in pan and place onto a cooling rack. Just made these – yum! Should I store the leftover ones in the fridge or at room temp? So glad you like them. I stored mine in the freezer and would take one out and let it sit for a few minutes on the counter to defrost. Then micorwave it, so it gets warm and pop some butter on it. Thank you Whitney! Yeah, I don’t think you need all of that sugar that is in some many muffin recipes. I am so glad you like this recipe! 🙂 Thank you so much for letting me know. I just made these this afternoon. I was looking for a recipe that was lower in fat and sugar. I was concerned when making them because batter seemed very thin and didn’t brown on top like a traditional muffin. After I let them cool just a few minutes, I ate one. They are YUMMY! I left the chocolate chips out of them because I didn’t have any. I also used vanilla greek lite yogurt. They were still really good. Thanks for a good recipe! Those doing WW I figured them to be 3 points w/o the chocolate chips! Hi Jennifer! I am so glad you like them! They are one of my favorite muffins! I bet using the vanilla greek yogurt was simply perfect, it probably gave it great flavor. Thank you so much for letting me know how the recipe came out! 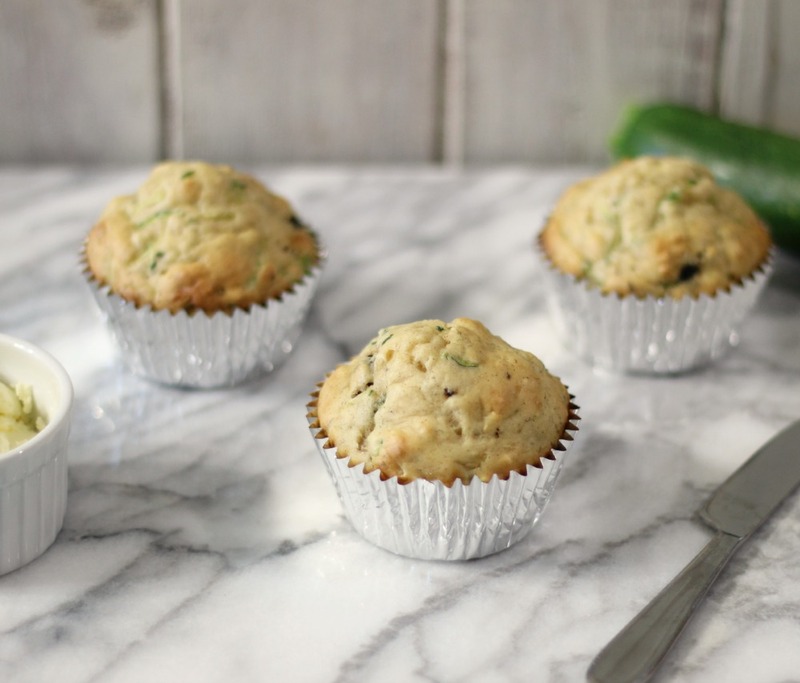 I made a double batch of the banana zuchinni chocolate chip muffins that I found on this website and they are moist and rose very nicely in the oven. However, when I took them out of the oven they fell. They still taste fine but definitely don’t look like the pictures here. I double checked the ingredients and I didn’t miss anything other than I doubled everything to make a double batch. Any suggestions as to where I went wrong? So delicious! I made one batch and my husband ate them up so quickly that I made a second batch a few days later and doubled it. I didn’t have plain yogurt the second time around, so I used peach fruit on the bottom yogurt instead and just avoided putting the little chunks of peaches in. The muffins tasted just as good! I found that I needed to bake them for two minutes extra than listed on the riepce in order for the toothpick to come out clean. Thanks for sharing tihs wonderful recipe!